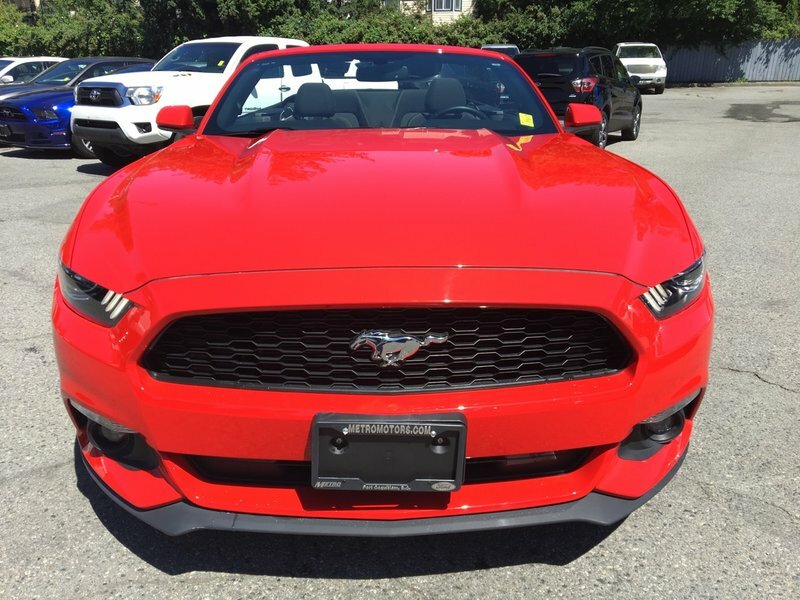 An almost new Mustang with NO ACCIDENTS and never registered outside of British Columbia. 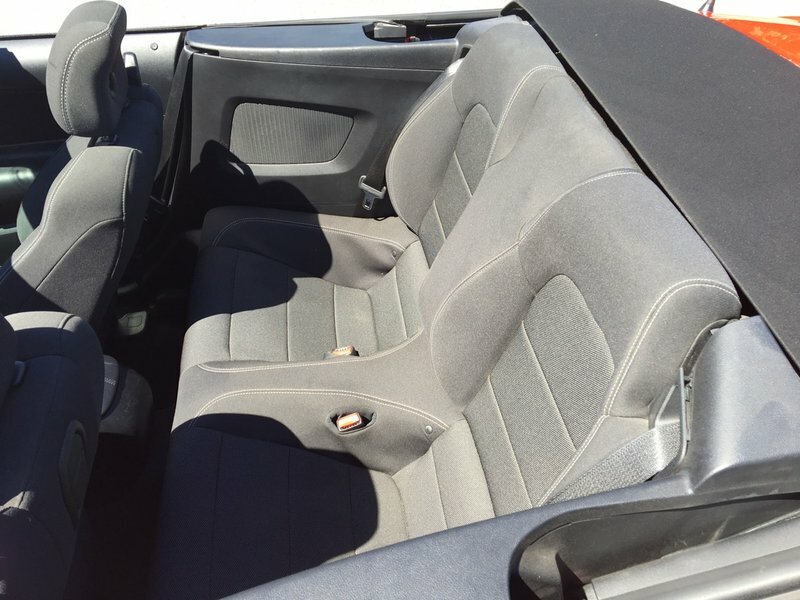 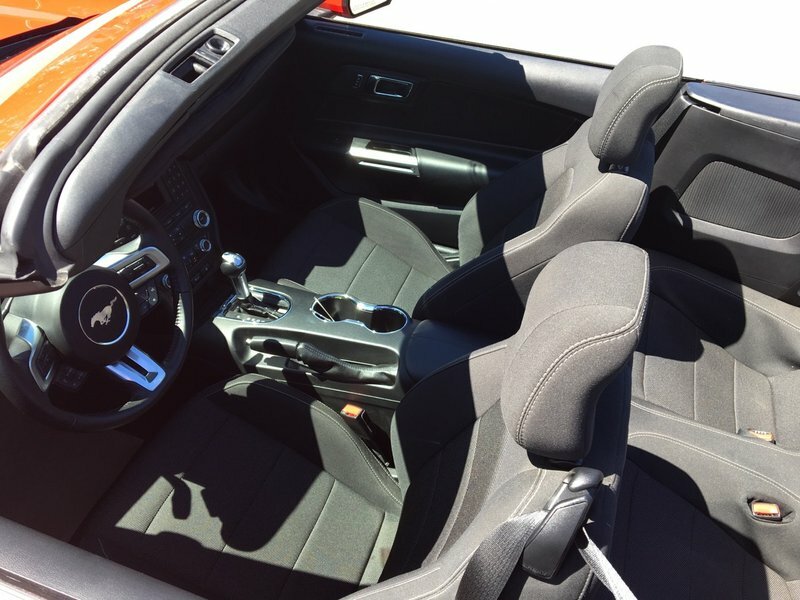 Standard features on this stunning convertible sports car include LED tail lights, daytime running lights, dual exhaust, dual power mirrors, AUX input, illuminated entry, SYNC (Bluetooth) with voice activation, air conditioning, AdvanceTrac with roll stability, intelligent access, MyKey, Reverse camera, active anti-theft system, engine block heater, reverse sensing system and a black cloth convertible top. 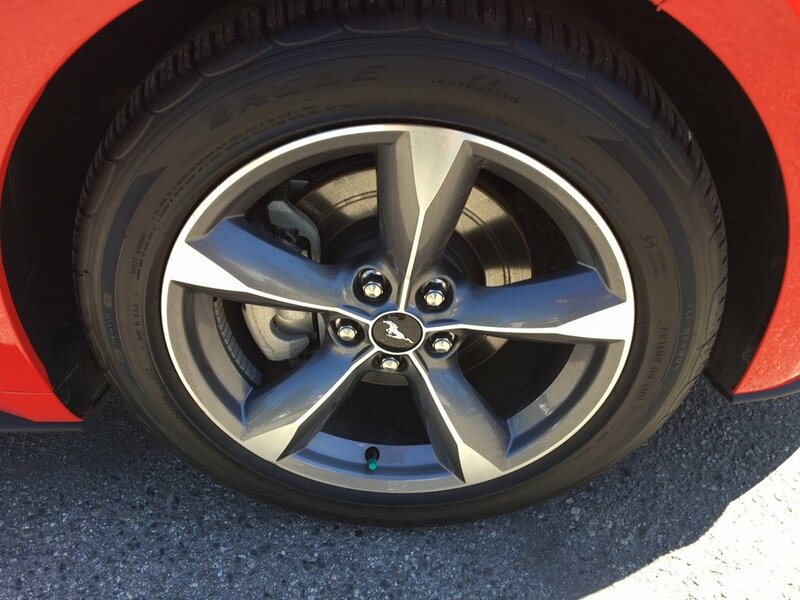 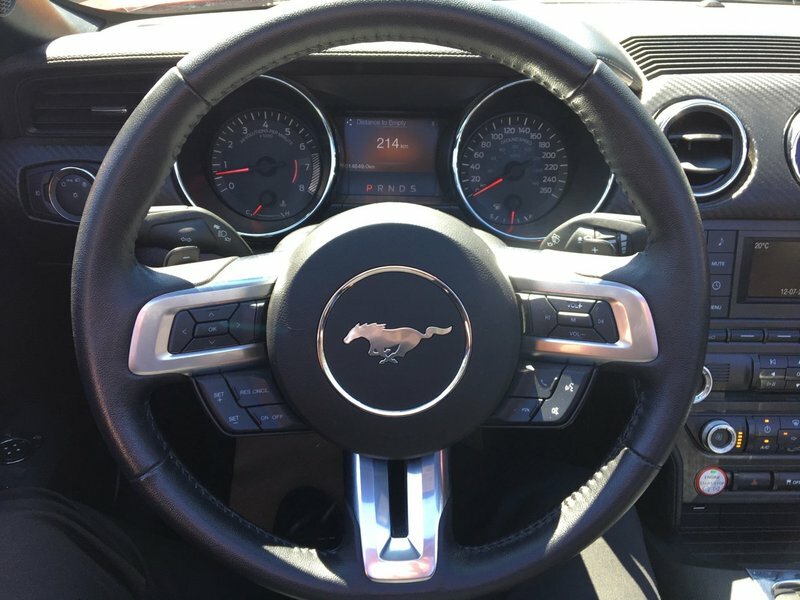 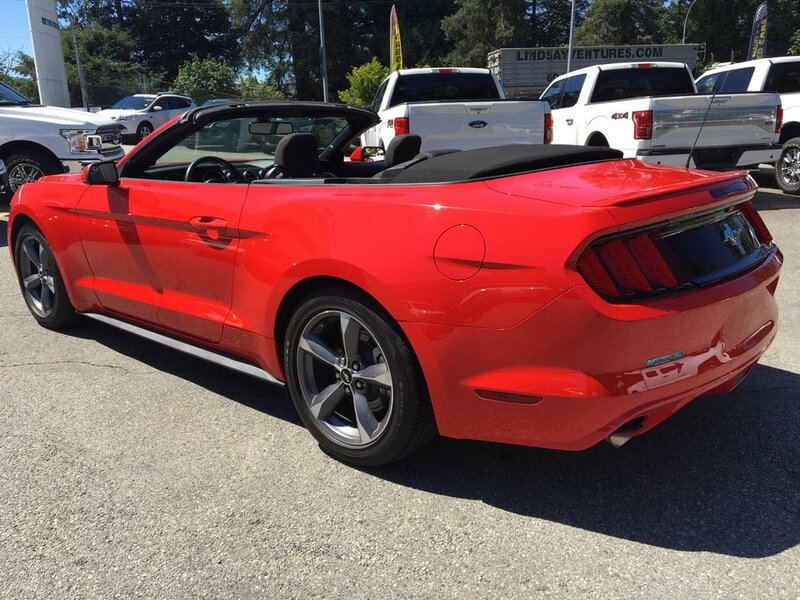 Powered by a V6 engine, this Mustang gets an impressive 11.1L/100km city+highway combined. 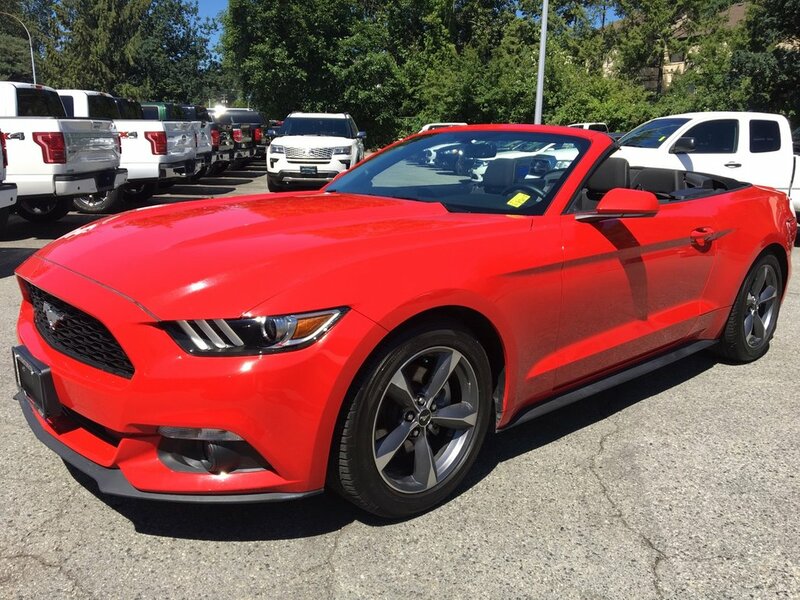 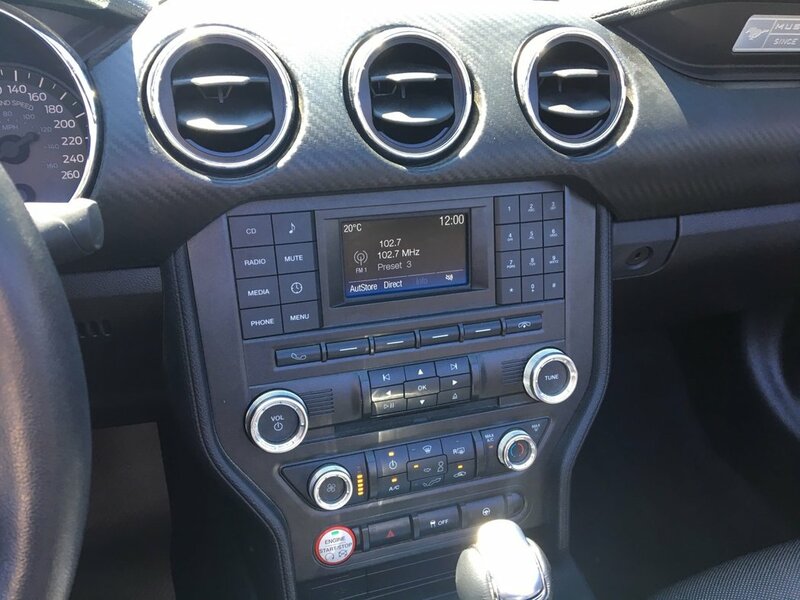 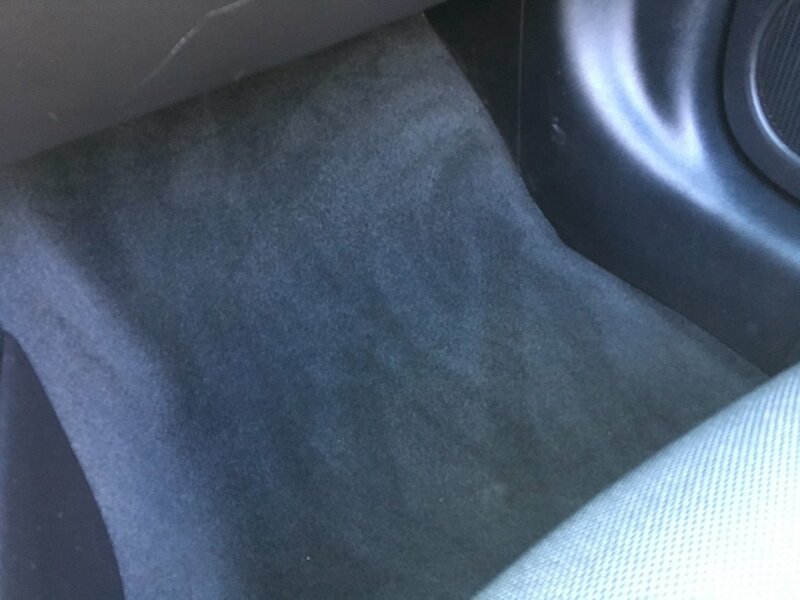 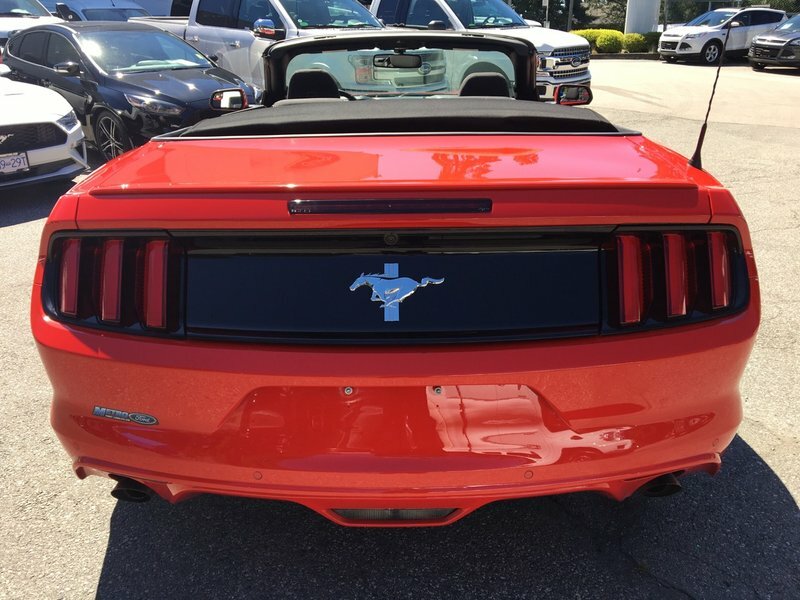 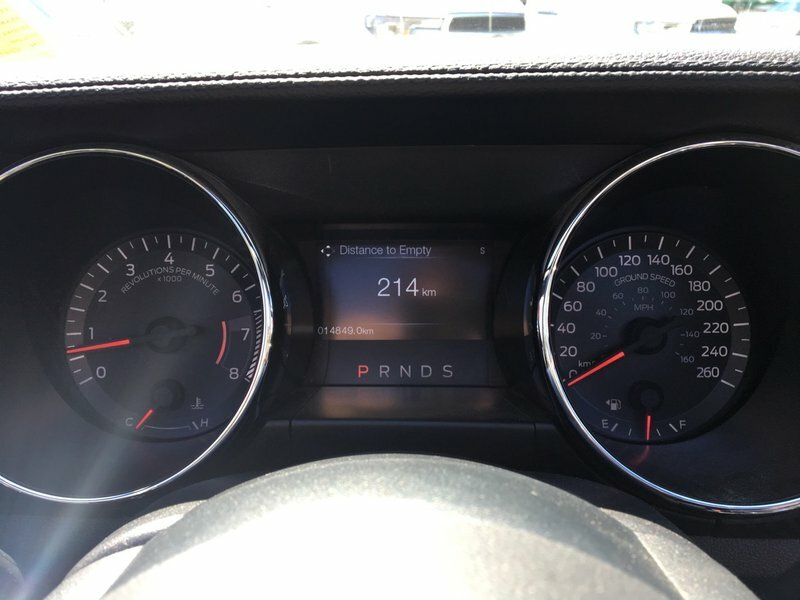 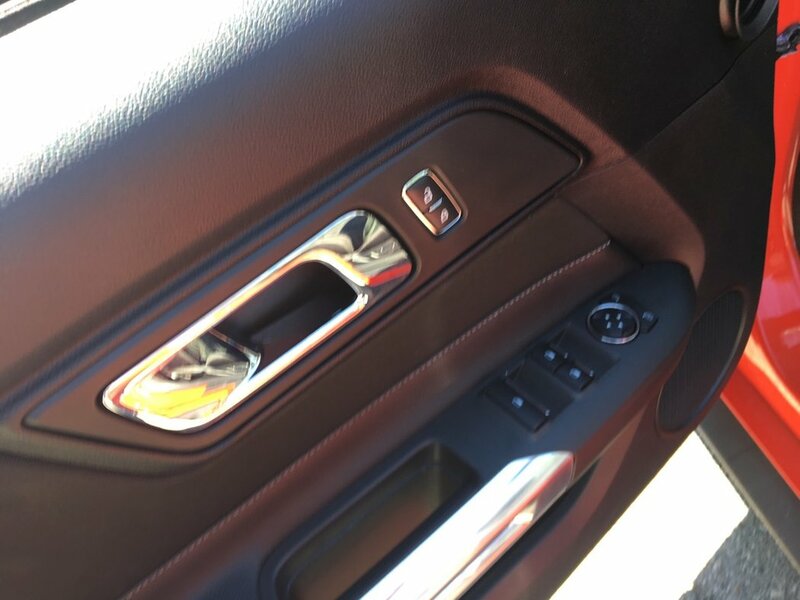 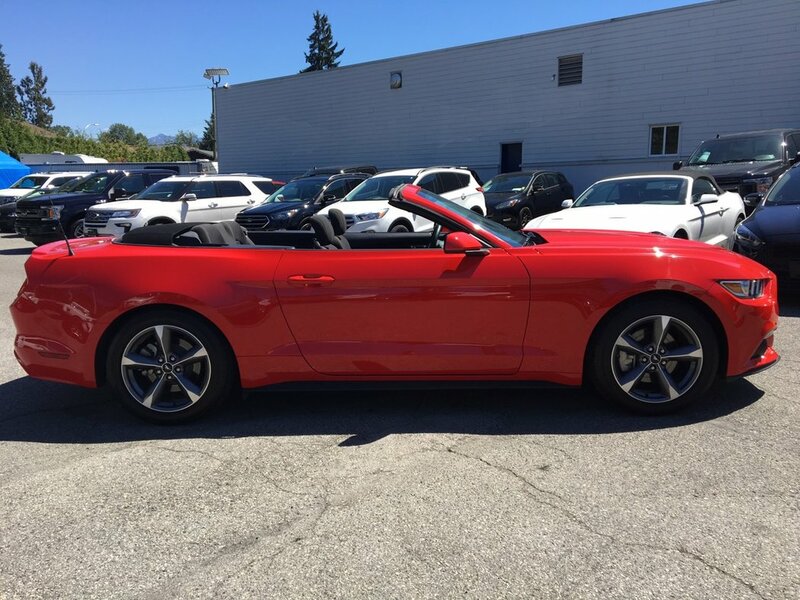 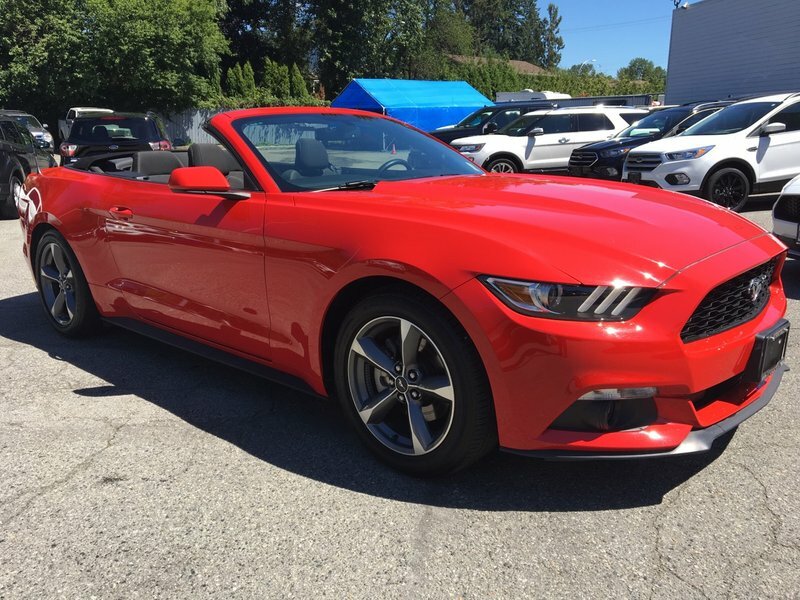 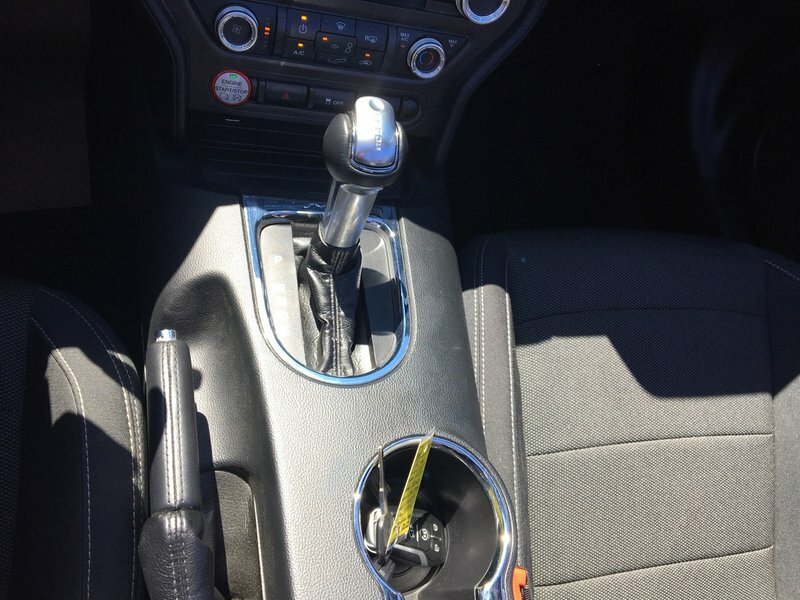 Covered under Ford factory warranty until June 2022, this Mustang comes with two sets of keys and qualifies for financing. 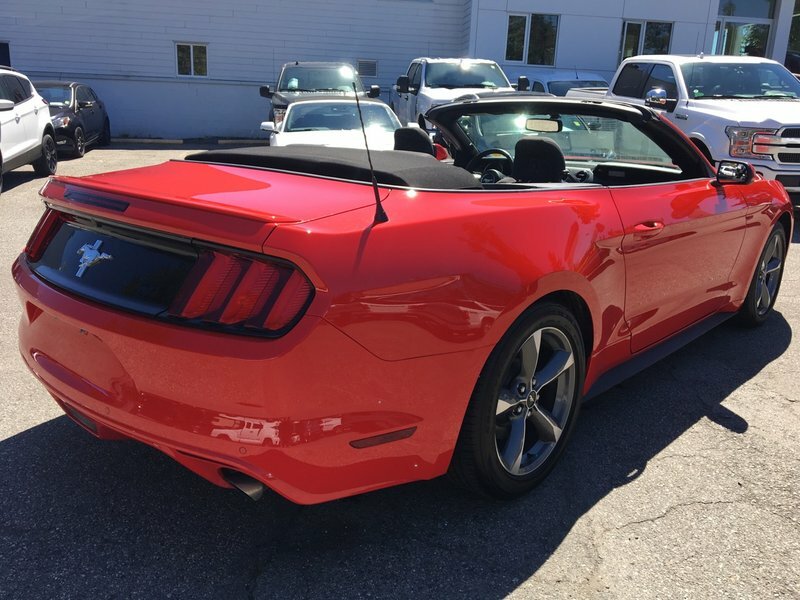 Stop in today and take it for a test drive!